No pins, no fiddling, these are a great basic nappy system. When your prefolds arrive they feel like stiff linen, but never fear! 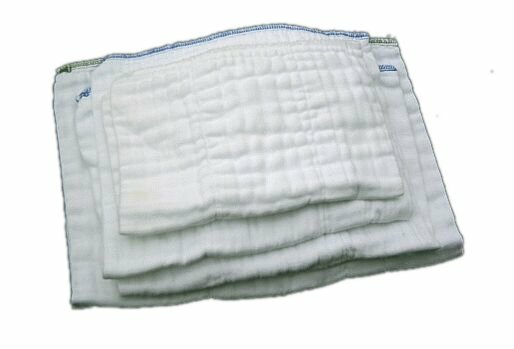 Wash and dry them a couple of times before you use them and they will fluff up and get a lovely soft quilted look like the ones in the picture above. The more you use them the softer and more absorbant they will become. Great nappies, good value for your money. Click the button below to add the Prefolds 6 pack to your wish list.